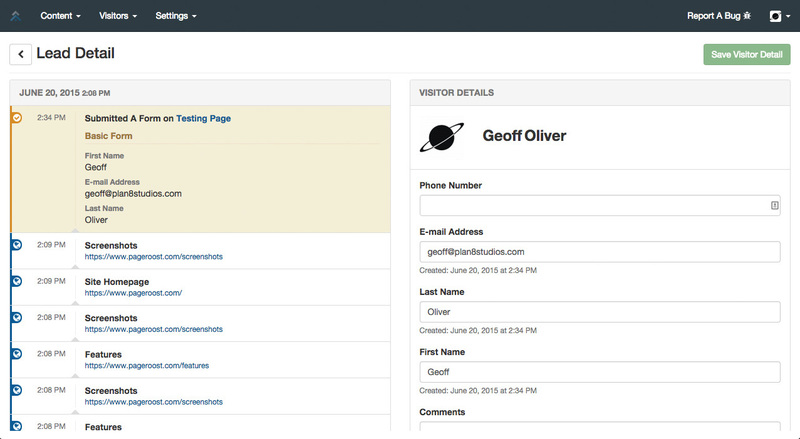 The dashboard gives you a quick overview of how many visitors your site gets. Three simple graphs display the total visits your site received over the past 24 hours, past week, and past month. 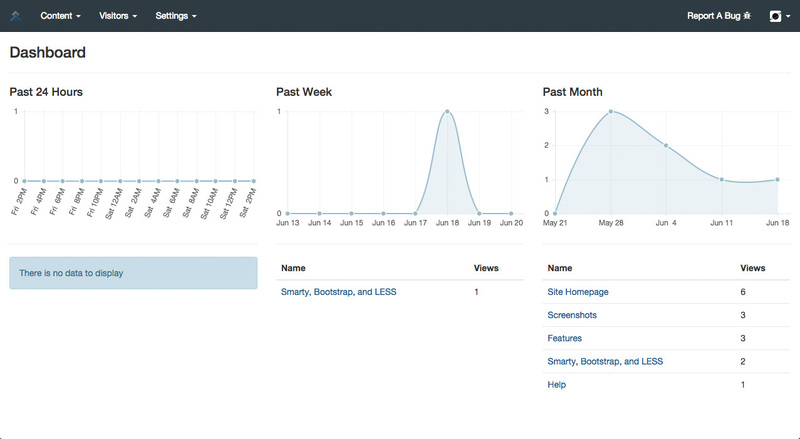 Below the graphs are a list of your most popular pages for the same time periods. 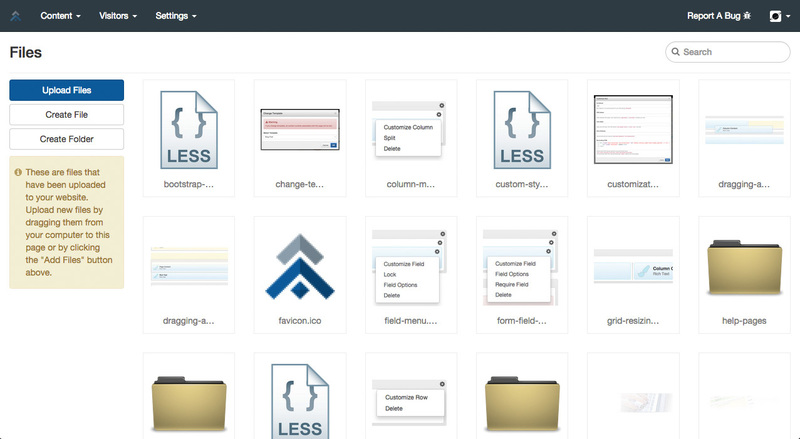 Use the simple drag and drop interface for creating page templates, forms, content blocks, and collections. Creating templates is a breeze. 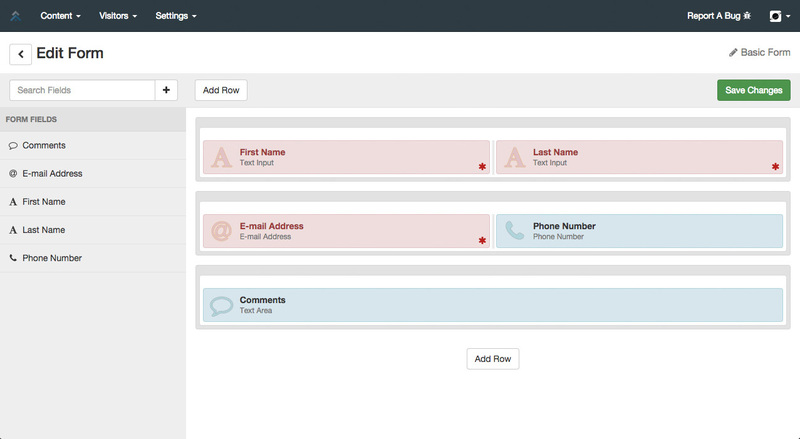 Managing forms has never been easier. 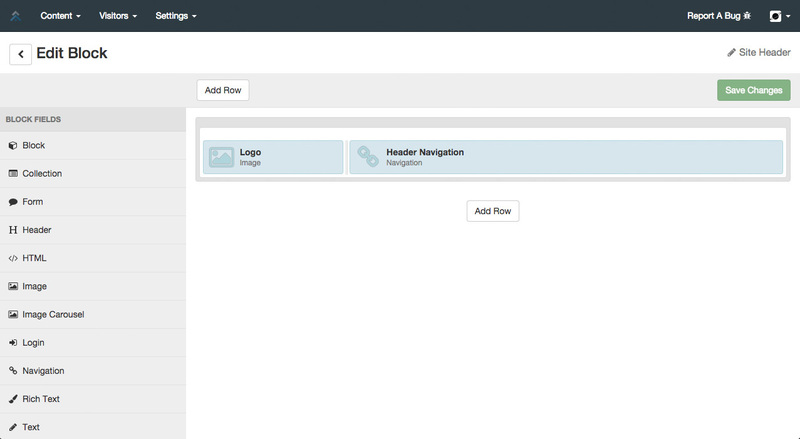 Reusable content blocks save time. 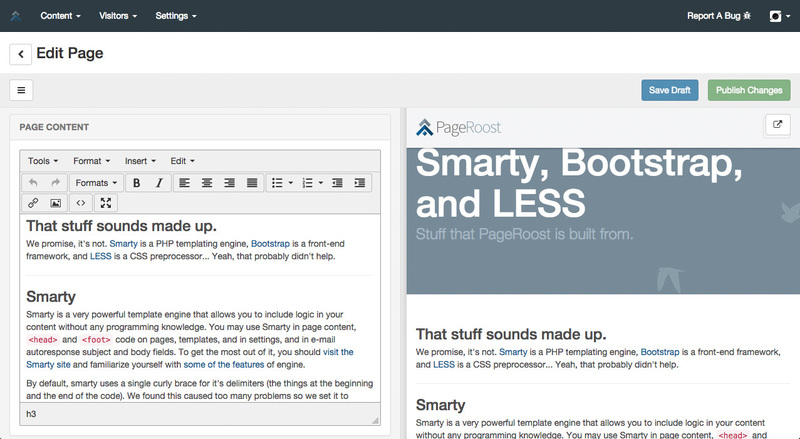 The page editor is how you build your site. 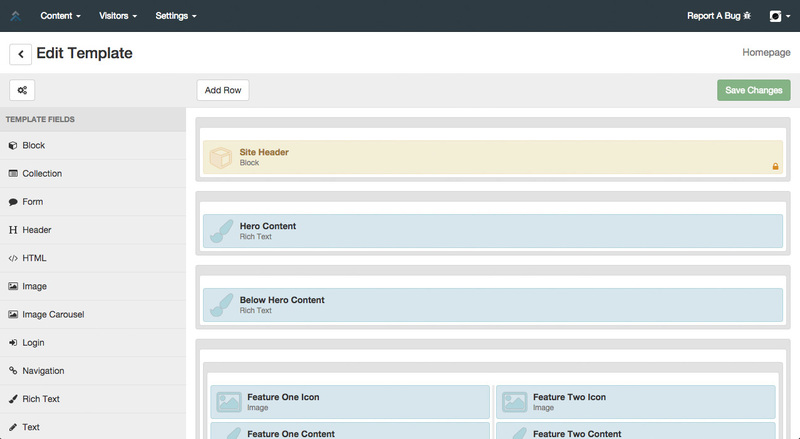 A split pane view allows you to edit your site and see how it looks in real time. See how someone navigated through your website, find out what they're interested in, and get an overview of all of the data they have provided by filling out forms on your website. You like what you see - we assume you have since you've made it this far. You want to get in on this and build your website dreams today! Put your cursor over that big "Get Started" button and click it.